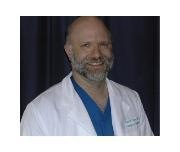 Jamie Hilbert, is an established nurse practitioner with family practice and internal medicine experience. She was raised in Oregon, then moved to Washington over 16 years ago. Jamie is a fourth-generation Pacific North Westerner. Jamie started working in medicine over 20 years ago, in medical records and as a Medical Assistant. She has worked in a variety of practice settings and uses her previous experience in clinical medicine to benefit her patients. Jamie did her nursing residency at Valley Medical's ER then worked as a nurse in Urgent Care, before attending Georgetown University to obtain her advanced nursing practice degree. Jamie has also been an instructor for Childbirth education and lactation support as well as adjunct faculty with Bellevue College's Nursing program. Jamie's passions are with health promotion, women's health, teen health and care of the elderly. Not to mention, she has a passion for teaching whether with the next generation of nurses or her patients. Jamie's love for medicine and people is evident in her interactions with patients. Jamie is excited to join us at Meadowbrook and is looking forward to serving the patients of the Valley. Jamie is a member of the American Association of Nurse Practitioners and ARNPs United for Washington. She enjoys spending time with her husband, two teenage children and their dog Scout. They can be found going to movies, playing board games, or biking along the Sammamish trail. Jamie is available by appointment. Please call our office for more details. Dr. Shroff is an Internal Medicine specialist who joined our staff at Meadowbrook Urgent Care on November 1st, 2003. She is a fantastic primary care specialist. She provides great gynecological care and specializes in diabetes, hypertension and depression. Please note that Dr. Shroff is currently not taking new patients. Ken provides primary, acute and urgent care to patients of all ages and walks of life. He assesses patients, orders and interprets diagnostic tests, makes diagnoses, and initiates and manages treatment plans. He encourages patients to be involved in their care sharing their thoughts and expectations. His past experience has included for 20 years as an Emergency Department and ICU nurse. He has been involved in critical care transport and was a flight nurse in the Air Force Reserve for over 28 years. He is a veteran of Desert Storm, Iraqi Freedom, and Enduring Freedom.